The dining room is a place to host dinner parties, to share special meals with your family, and to entertain friends for special occasion. If you are thinking about selling your home, a properly staged dining room will allow potential homebuyers to imagine themselves entertaining and gathering in the room. Home staging will make your dining room appear comfortable, spacious, able to accommodate gatherings, attractive, and bright. De-clutter the room by removing all extra furniture. Remove any furniture that blocks walkways into and out of the dining room. Depersonalize the dining room by removing all personal items such as photographs, souvenirs, and collections. Repaint moldings, wainscotings, baseboards, chair rails, and trims if necessary. Match the paint colors in the dining room with the paint in the living room if they are connected. Remove any kids toys from the dining room. Remove any pet toys and food dishes. Make sure the room is clean from pet hair and odors. Clean, dust and polish everything in the room including the dining room set, windows, mouldings, baseboards, chair rails, wainscotings, and trims. Clean all light fixtures such as a chandelier or a ceiling fan. Make sure the light fixtures work properly, are eye catching, and match with the style of the home. Air out the room and make sure there are no food or smoke odors present. Remove all glassware, china, and dinnerware from hutches or cabinets in the dining room and replace them with a few decorative accessories. 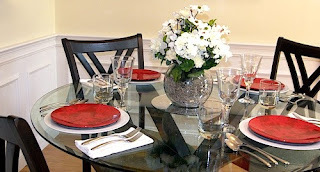 Make the table the focal point in the dining room by adding a centerpiece on the table such as a large vase with fresh flowers or two candleholders. Center the dining room table under the chandelier. 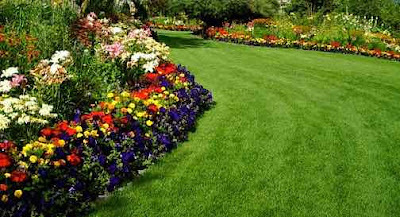 This will allow potential homebuyers to better imagine their tables and chairs in the room. Set the dining room table with attractive linens that coordinate with the color scheme of the house. Display an attractive dining set and cutlery that is in new condition. Add an attractive large framed painting or artwork on the most visible wall in the room. Make sure the room has good lighting. Add extra lighting in the room such as sconces and extra lamps if needed. Remove window treatments if privacy is not a concern, to open up and brighten the room. 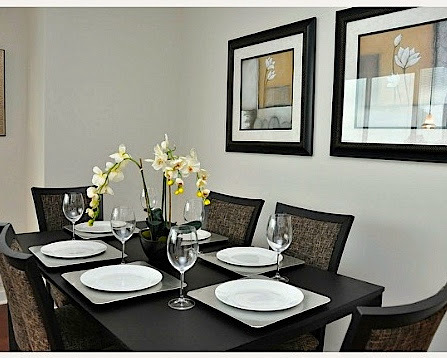 Hang a mirror on the wall opposite the dining room window if possible, especially in a small dining room. The reflection of natural light from the mirror will make the space appear larger. 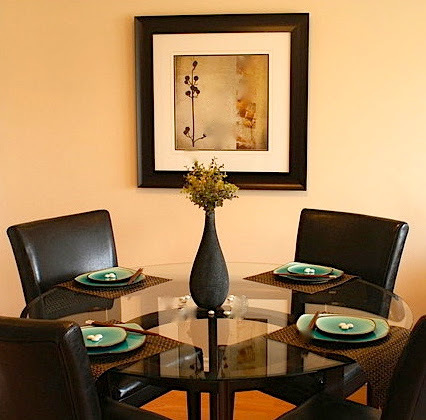 The dining room is one of the most important rooms in the house when you are selling your home. 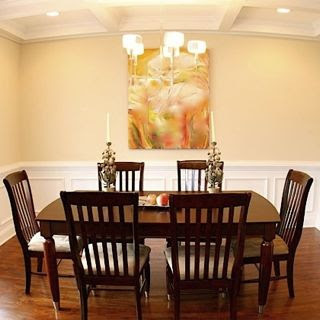 Staging a dining room is a powerful way to allow potential homebuyers to imagine themselves gathering for special occasions and entertaining in the dinning room they are viewing. Follow the tips in this article and my previous staging articles and your dining room will look inviting, spacious and attract the attention of a homebuyers.